You protect valuables such as your car and your home with insurance....why not your pet? When faced with unexpected veterinary bills, having pet health insurance not only takes the sting out but gives you the freedom to opt for the best treatment for your pets condition, as opposed to letting finances factor into veterinary care decisions. When it comes to planning for your pet's health needs, most of us only anticipate having to pay for annual vaccines and teeth cleanings. However, it is not unusual for dogs and cats to become injured at some point in their lifetime. They may ingest a toxin or a foreign object or fall victim to cancer or diabetes, suffer a fracture, etc. Many maladies you don't plan for can plague your pet. Most importantly insurance plans cover many of the costs associated with these unexpected illnesses or injures. However there are comprehensive plans that even include wellness coverage including physical exams, vaccines, heartworm testing, and routine teeth cleanings. 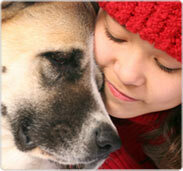 There are several companies that offer pet health insurance. See the links below for information about a few of those companies and fill out the comparison worksheet to help you choose the best policy for your pet.